SMART goals (I am completely taking resolutions out of the choices here!). However, I like to combine the two. 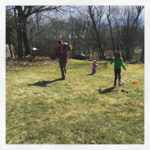 while writing the goals – and for life choices in general. worked to facilitate my goal creation for the year. me while writing my goals for 2017.
culture we live in currently, but that is a post for another day). easily chose my one word for 2017 – margin. word to facilitate goal setting? might be completely insane yet I still write them down. look at the goals and see if they are a short term or long term goal. that are in my “yearly goals” column. year, these goals might actually be good for me. margin in those goals instead of the previous list. when you look at your list of goals, do they line up with your word? you should be able to see hints of that word in all of them. to re-write that goal to be more in line with your word? And the last thought – maybe it shouldn’t be your goal. I often will think I am writing goals when they are actually ideals. one word to facilitate goal setting? Love this!!! I picked a word for the very first time this year! My word is epic!!!!! I don't really have a word for this year but I want to keep moving forward. I want to look ahead and keeping pushing myself to do better than I have before. Wow. To understand the difference between a short range goal and a long term ideal – that is an awesome advice. My word for the year is grow. My word this year is unstoppable. So many things came up last year to put things on pause and I don't want that to happen again this year. I want to be unstoppable. I don't do the one word challenge as I don't find it was very fitting for my goals. I actually never heard of the word thing until this year. I don't really set a word of the year every year. But you have a good point, your goals should also coincide with the word that you picked, if not it doesn't make any sense at all. I have never thought about this much, but I do love the concept of this trend! 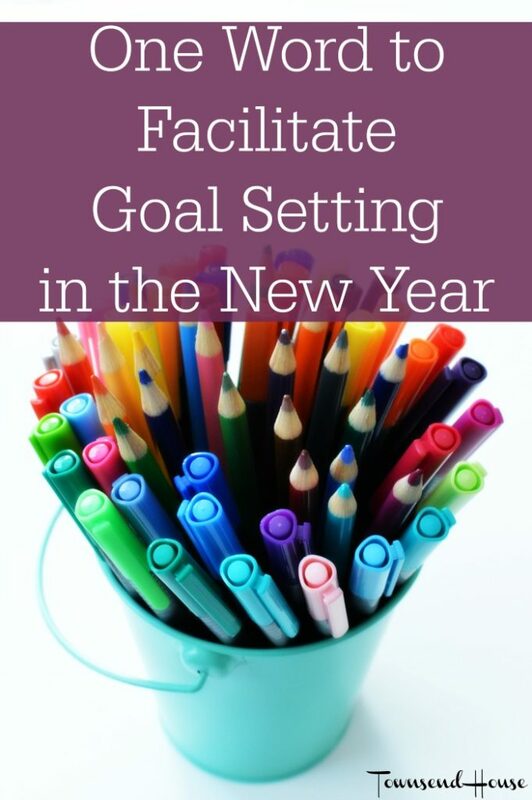 It's definitely a great way to help facilitate goals. I often think of goals as ideals too because they seem more obtainable . For me the word of the year might be your previous one which is action. I was reading an interesting article in the paper today that told me the billionaire's philosophy was often centered around action. I decided this year I would make small resolutions. Every time I make big ones they just don't happen. This year I'm very focused on being mindful and deliberate with my actions and decisions. Last year I did a lot that was very unfocused and casual. I want to be more conscious this year of the decisions I'm making and how that affects my big picture. My one word for 2017 is "simple." This helps me a lot in planning out my week, my month, and my year. I overcomplicated everything in 2016. I thought I needed to buy the fancy subscription boxes, purchase the fancy Groupons to do my fancy yoga classes. My onw word for the year is NOW. Because I have thought about my goals, reworked them and built the foundation to really attain them all long enough. So the time is NOW to just do them. 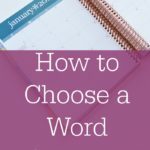 I agree choosing a word really helps you focus and assists you in achieving your goals. I'm not big on resolutions but goal setting helps you have a long or short term plan – and the assistance of one key word is so helpful! Great post! Choosing a word rather than a particular goad is such a great idea because it brings motivation rather than impending doom! I like the idea of picking words and ideals rather than "resolutions" – much more in line with the actual idea, and far less stress that way! This is a great post! Also I love your word! I think mine is going to be confidence because I need to be confident in everything I do especially in blogging! Honestly at the end of 2016, I was SO burnt out. I really am working on NOT getting that way again! I love this! I am working on tweaking my 2017 goals and narrowing them down. I made a huge list and started to realize they were overwhelming me. Wow love the way you said you think you are setting goals but you are actually writing ideals. Too true and never realized this before. I'm glad you said that! I love the way you're implementing your word. My word is balance, balance in all things in life. My word this year is mindful. I want to be mindful in all I do and overall be more present at home. I love this new trend – I love the idea of going to make a decision and then thinking of my new years word and having that help me make that decision. I love what you wrote about change. I am so the same way. I want instant results from the changes I've made, but that's not the way life works. I love your word, margin is a great way. Reprioritizing things is always a good thing. Cheers to a great 2017! I'm not one for making resolutions or writing down goals..I kind of am like I want to do this this year, and if it happens it happens, if not then it wasn't meant to be. So far it's worked out pretty well. I like the idea of giving yourself a margin of space to get things done. 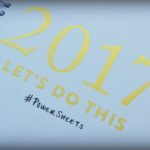 I've created a list of smaller goals to achieve this year. I wrote down my goals and tweaked them until I had them widdled down to something attainable. THey were still pretty tough so my word for this year is Persevere!